Great Start to the Ladies Event! 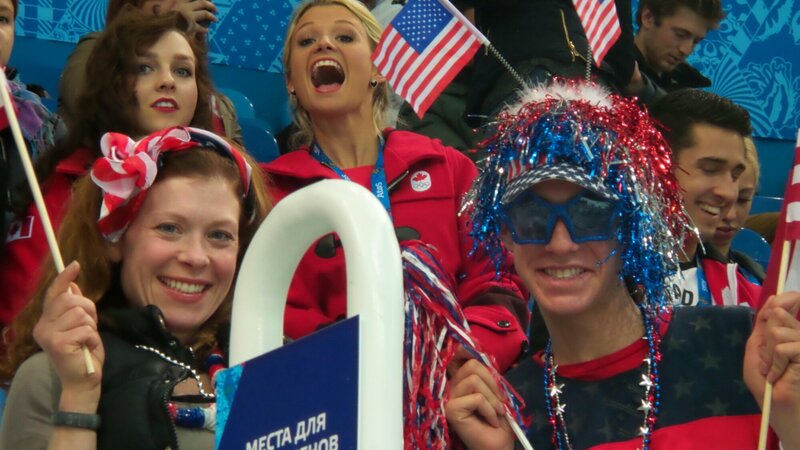 The U.S. ladies are all in the top 10 after tonight’s short program! 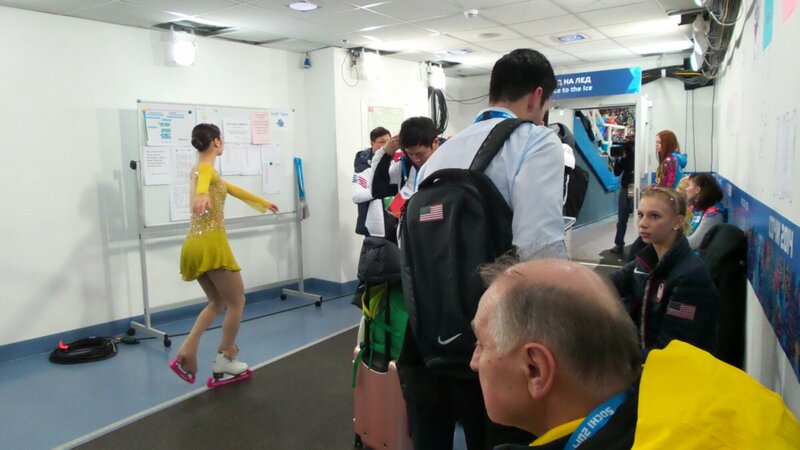 Gracie Gold skated to a 4th place finish, Ashley Wagner is currently in 6th and Polina Edmunds is 7th. 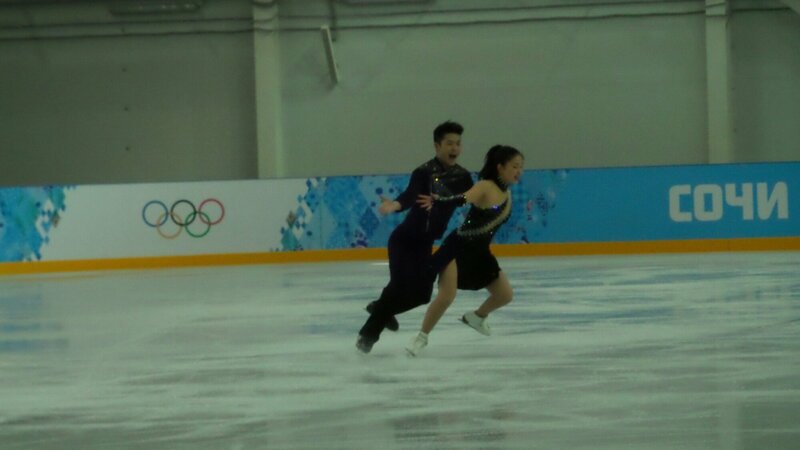 All three skated great! 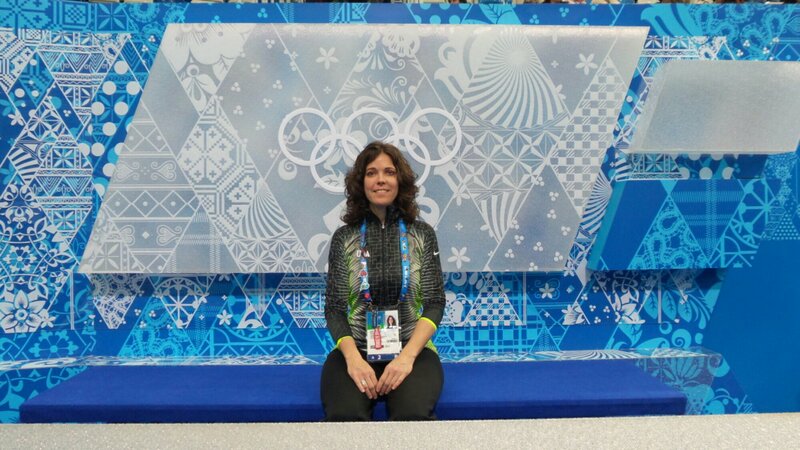 Can’t wait for the long program tomorrow! 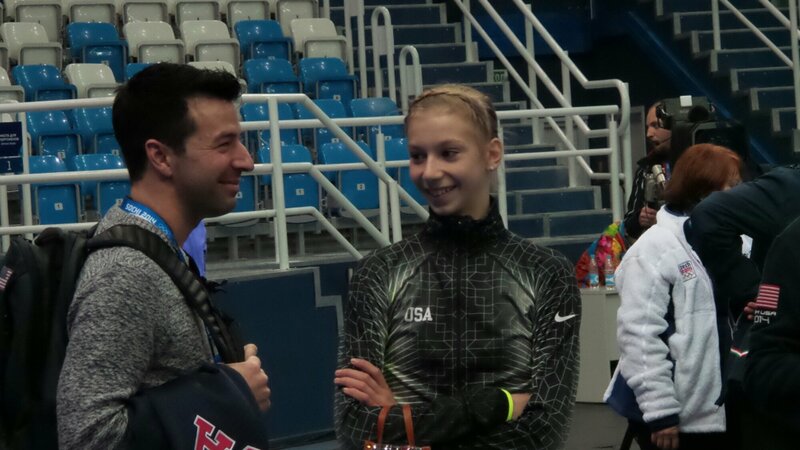 Jason Brown and his coach Kori Ade Ade Rockin’ USA in the house!! 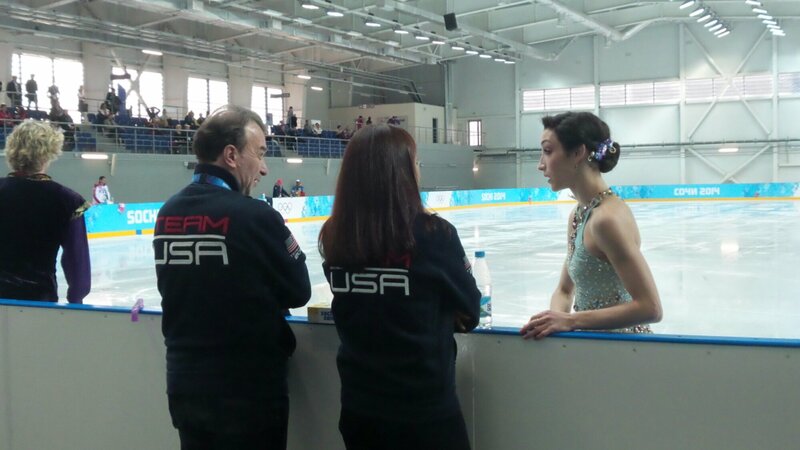 Polina talks with her coach David as Yuna Kim gets ready to go out onto the ice for her short program (amazing skate by Yuna!). This is the area I watch the event from (there’s a large monitor on the wall across from the bench Polina is sitting on).